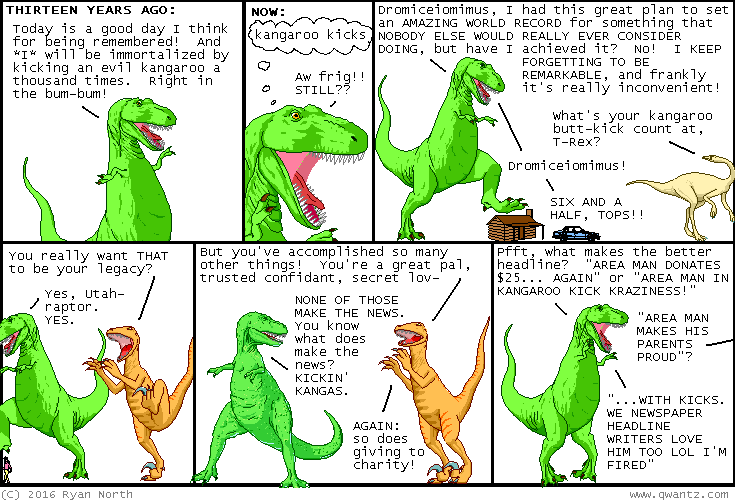 Dinosaur Comics - June 29th, 2016 - awesome fun times! One year ago today: utahraptor hating mercury is a new development that happened as soon as i realized i thought it'd be funny for someone to just really have it out for a single planet. stupid mercury!!!!!!! !